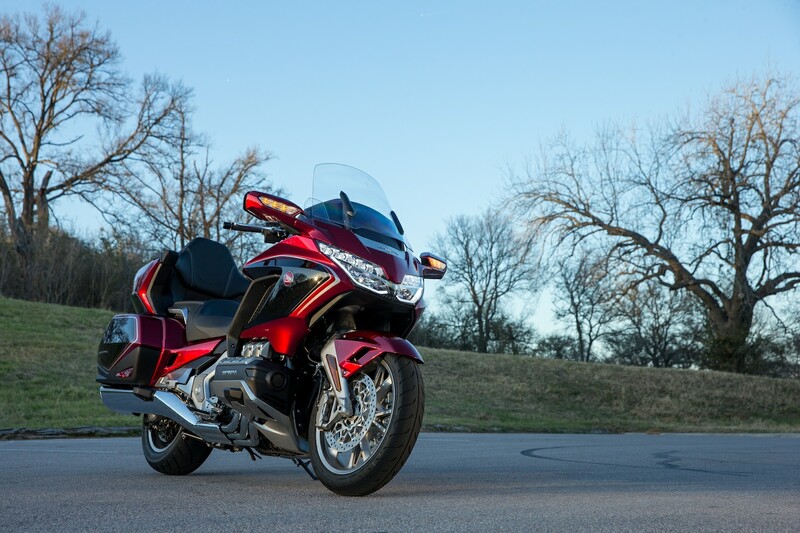 The Honda developers were not to be envied in the past. 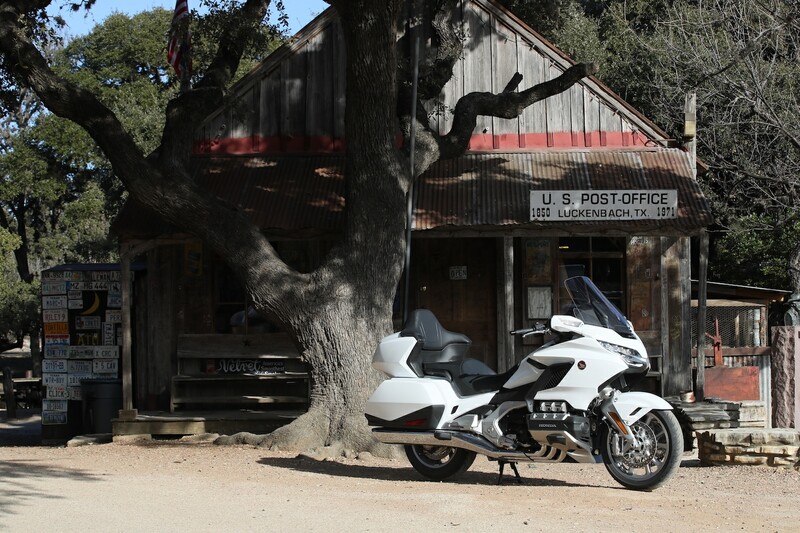 They built the most comfortable motorbike of all time and won many supporters – but also earned slander. 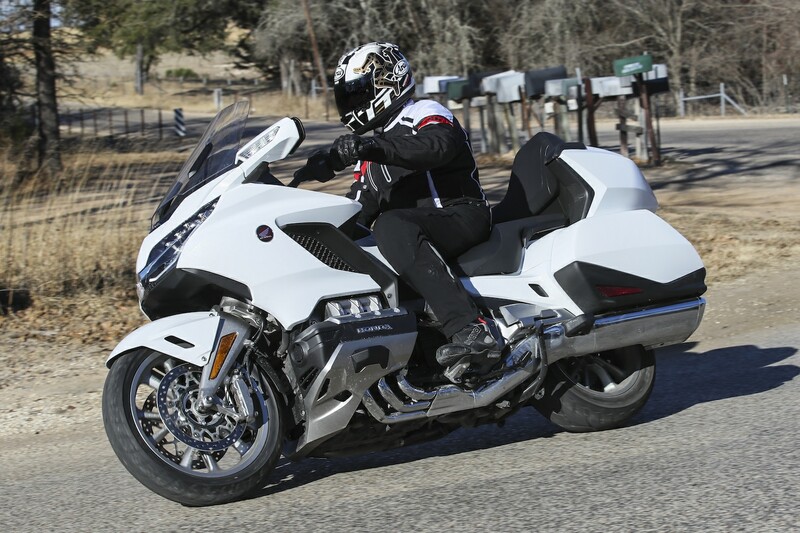 The critics said, the Wing wasn’t a motorbike and instead of driving that, you could go by car. 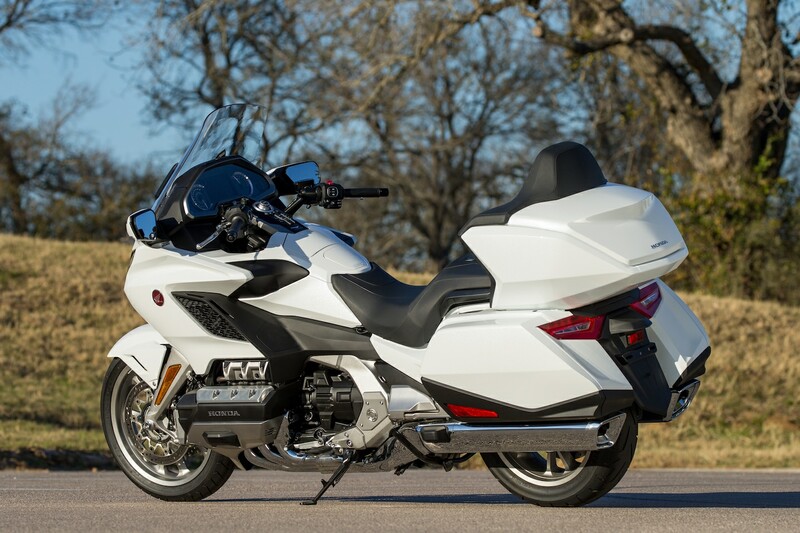 But most of that criticism came from bikers, who never sat on a Gold Wing before. Anyway, this should be over now. 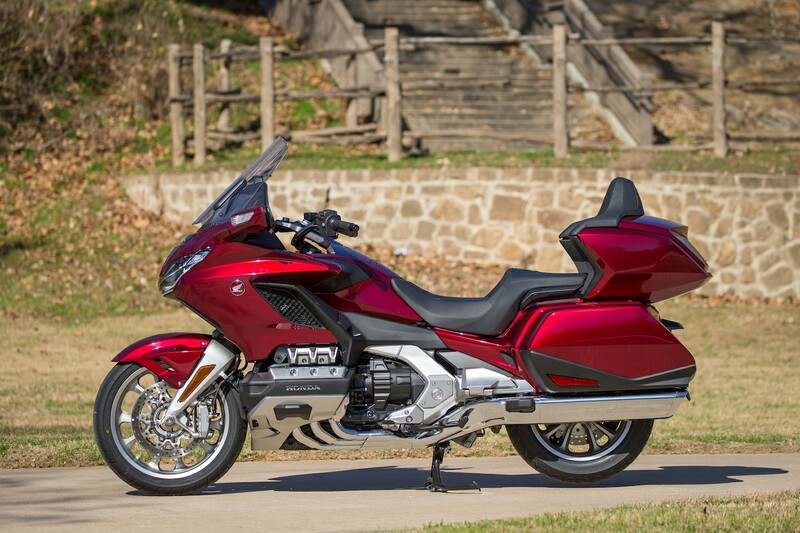 The new Gold Wing is much delicate, far more dynamic and prettier than ever before. 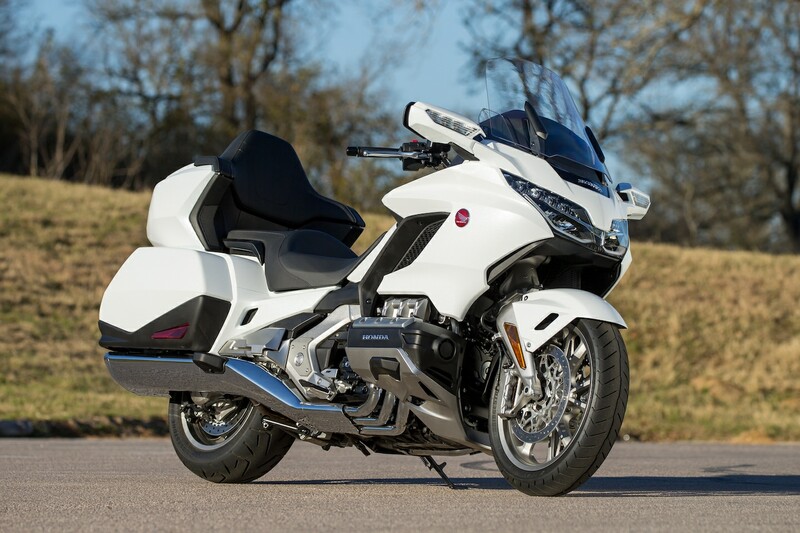 With its new proportions and up to 48 kilograms less weight, it even looks sleeker than a BMW K 1600 GT / GTL or Harley’s E-Glide. 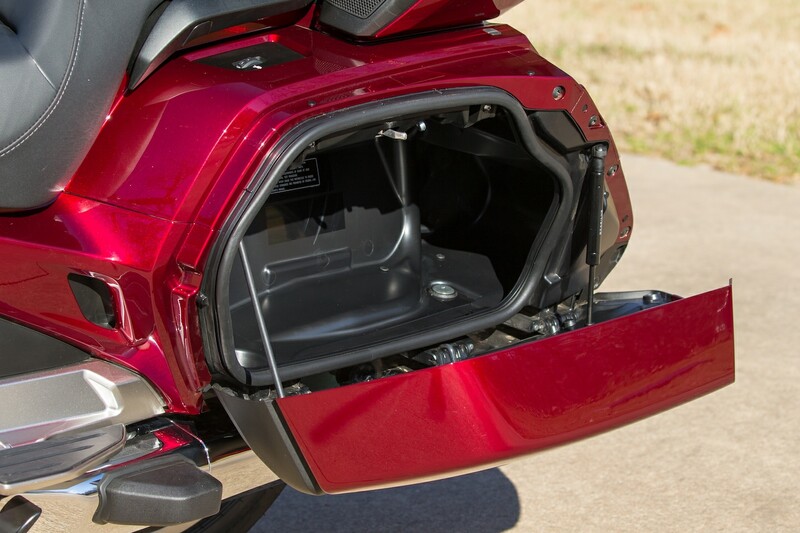 This new positioning also has a little twist to handle it right at the beginning: The storage space was reduced from 150 to 110 liters, especially the top case is much smaller now. 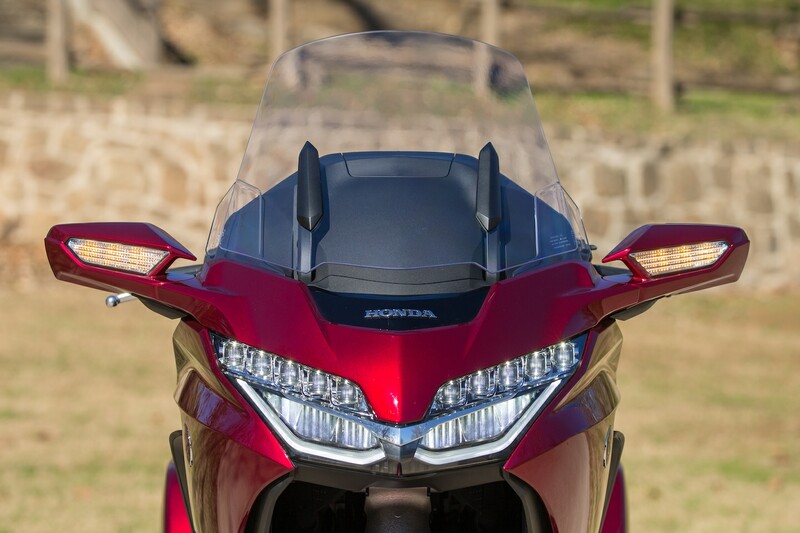 In order to stow two full-face helmets here, these can’t be too big and you have to have some patience. But giving up a little luggage pays off. 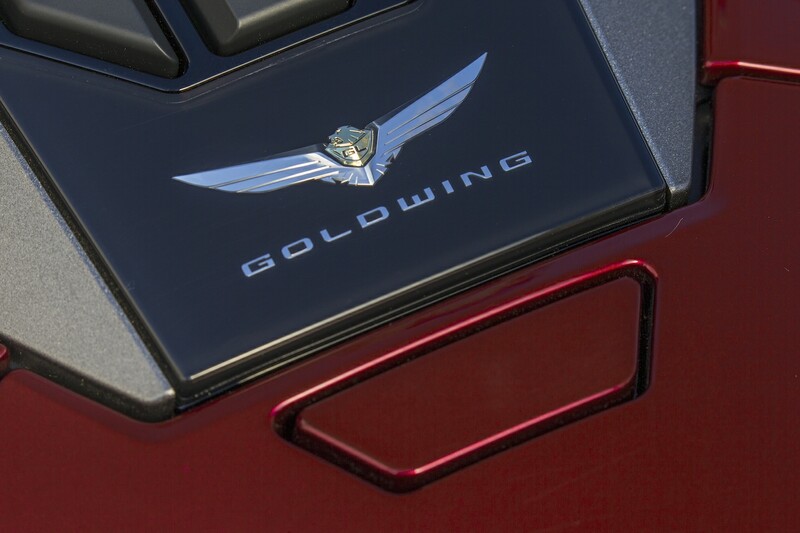 Already at the first start you realize that this is a completely new driving experience. 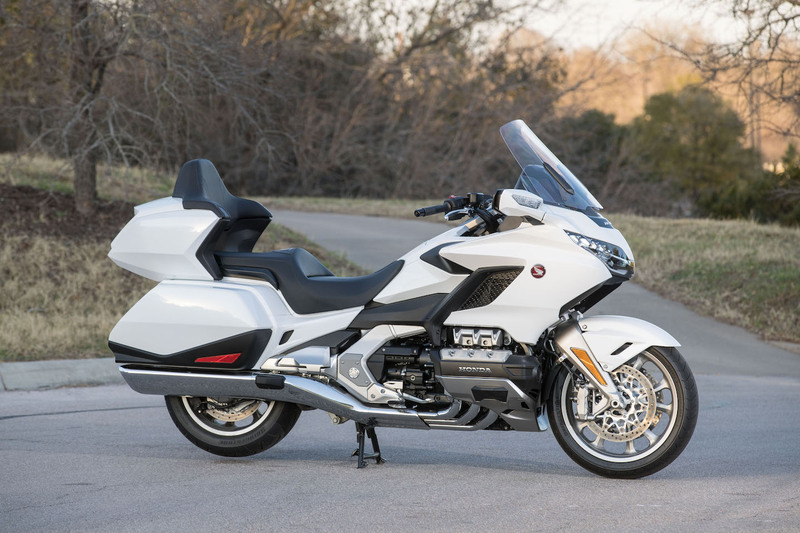 In the old Gold Wing, a lot of rubber was used in the chassis in favor of comfort – thanks to new design principles, this is no longer necessary. 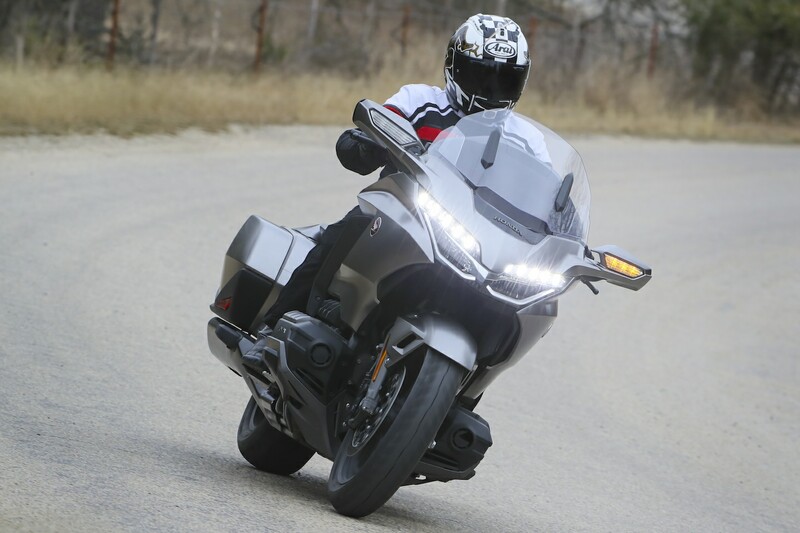 The new version is taut and direct, but offers at least as much ride comfort as before. 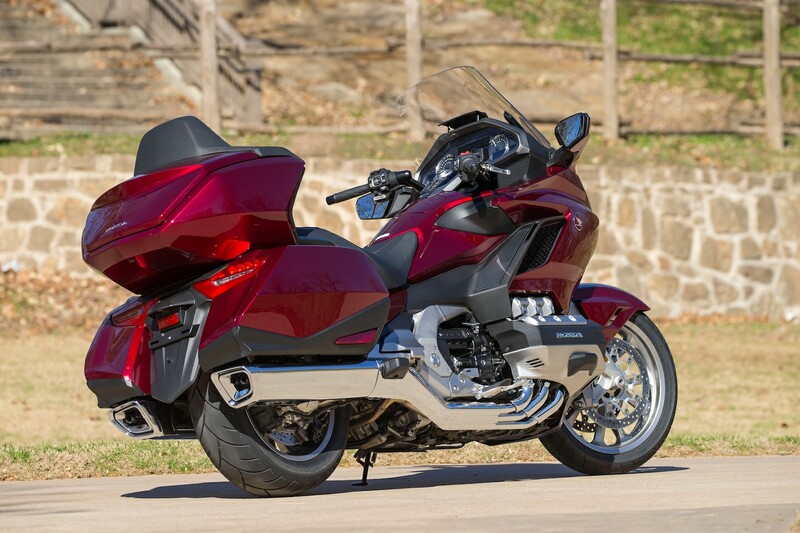 This applies to the base model (without top case as a successor to the F6B), but much more for the Gold Wing Tour, which has standard electronic dampers and an adjustable rear bias at the touch of a button: Just wonderful, how elegant the Wing hovers over bad roads and still deflects precisely or remains stable during hard braking maneuvers. 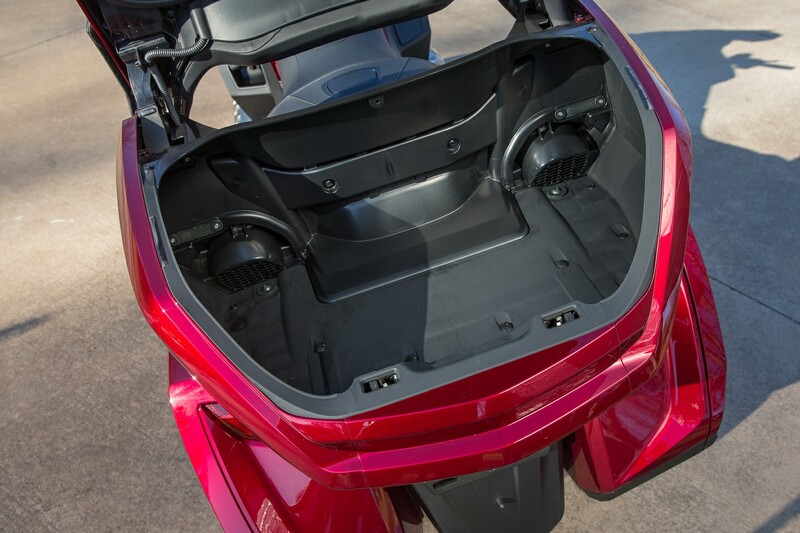 That you might be tempted to drive a little faster, is not only on the chassis. 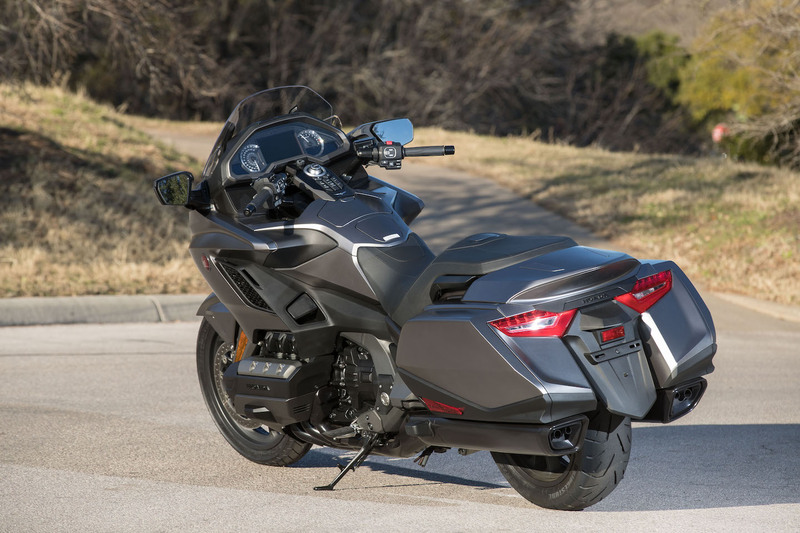 Rather, it is the combination of several characteristics: the lower weight, the significantly improved aerodynamics (thanks to a slimmer profile) and the completely redesigned engine with four-valve technology, ride-by-wire and also a more compact design. 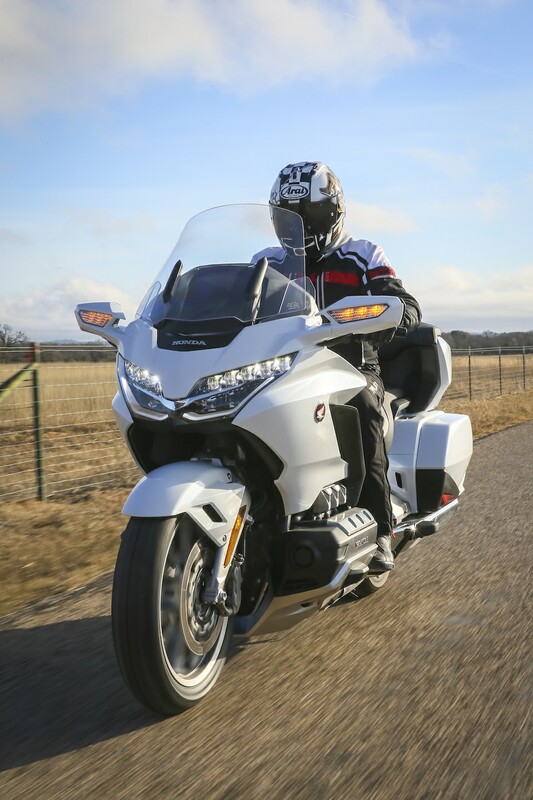 Also the sitting position is slightly more active, thanks to the slightly recessed grid and shorter handlebar – without compromising long-distance comfort. 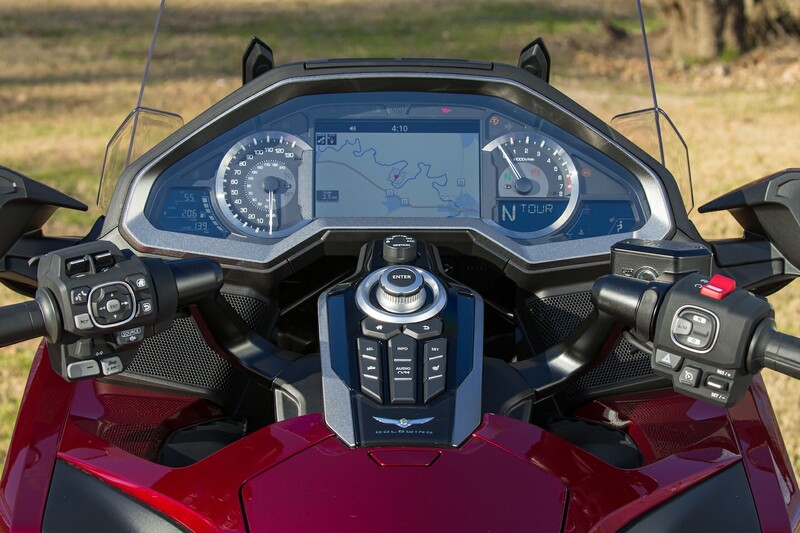 And then there is the electrically adjustable windshield, which you can now zoom down for a brisk curve swing, thus allowing a undistorted view of the road. 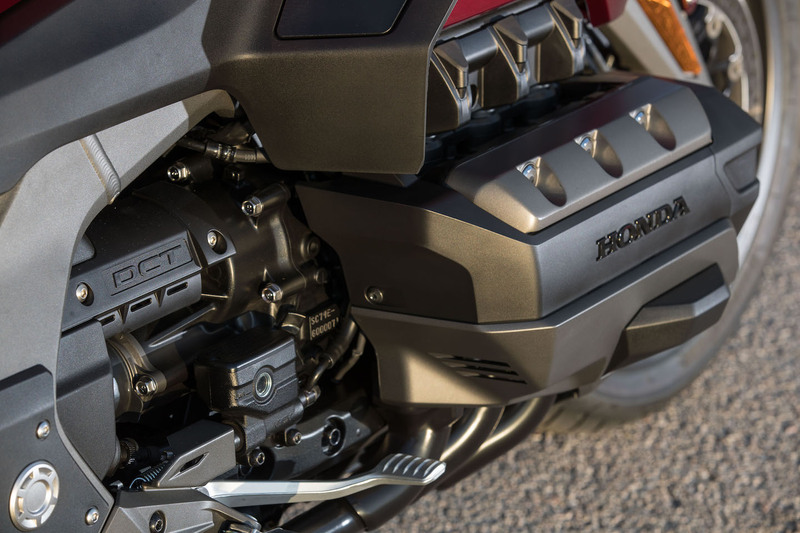 Yet another note on the engine: according to Honda, the bike should be 40 percent more fuel-thrifty, which of course is due to the weight and aerodynamics. 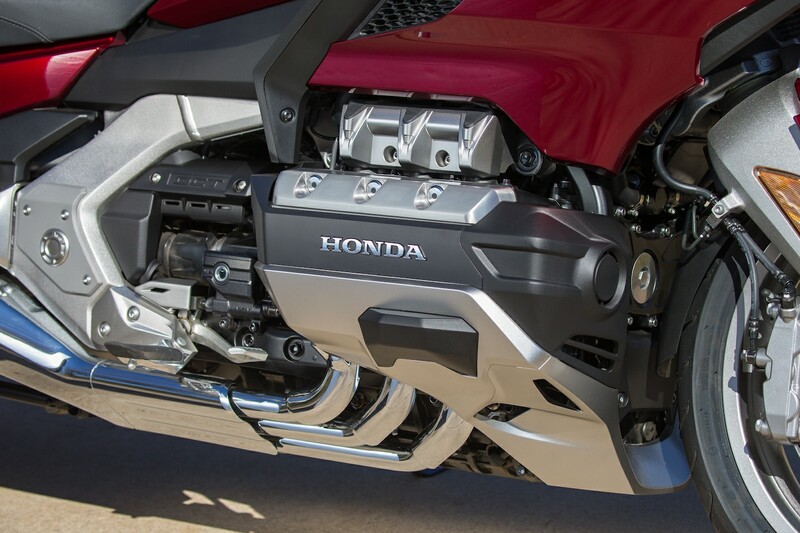 Thus, Honda could reduce the tank without reducing the range. 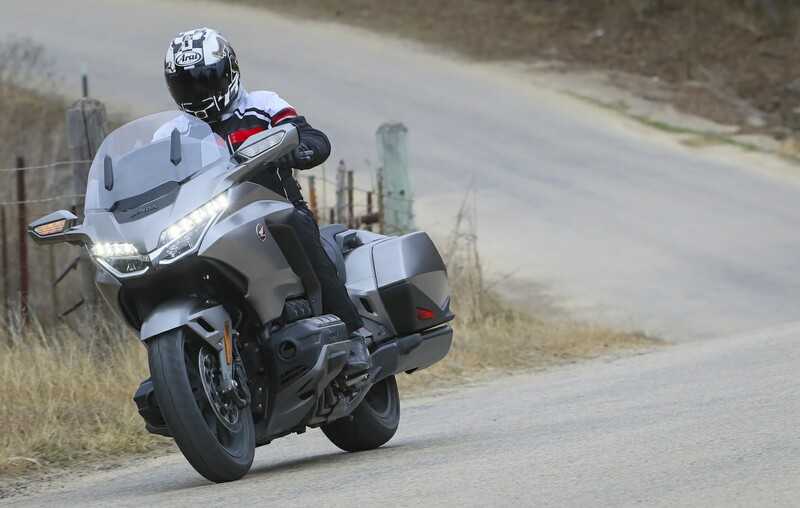 We consumed less than five liters on sliding sections on our first test drive, and a good six on brisk stages – so you really can’t complain. 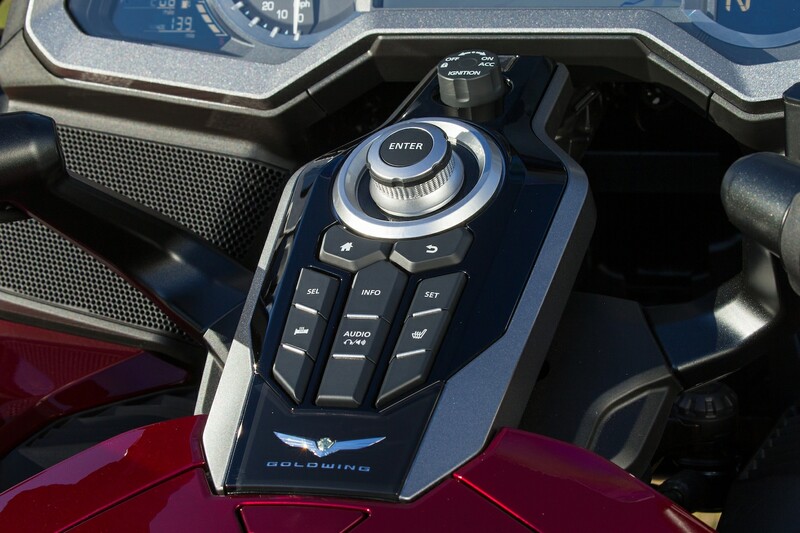 As you’d expect, the new model also shows a lot of high-tech, instantly recognizable by the key (a SmartKey with central locking) and the brilliant 7-inch TFT display on the large dashboard. 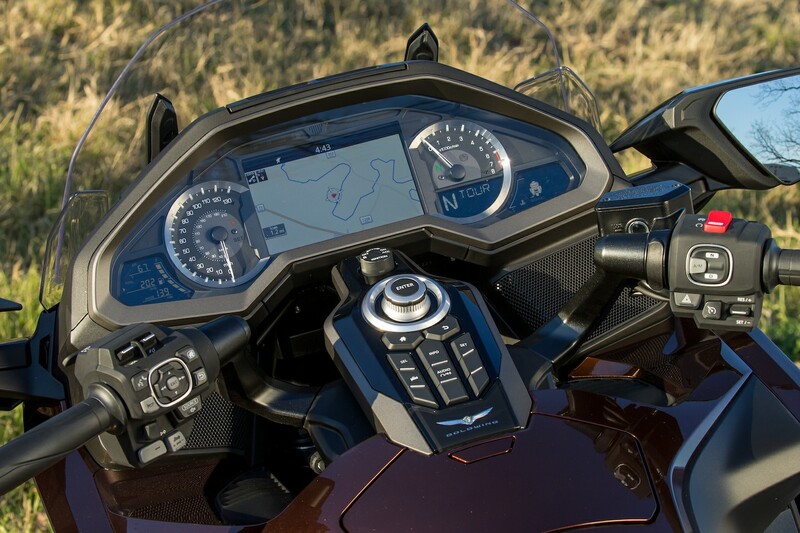 An operating and readable navigation system is standard in the basic model, as well as the powerful audio system with Bluetooth, USB and – for the first time in the motorcycling world – Apple CarPlay. 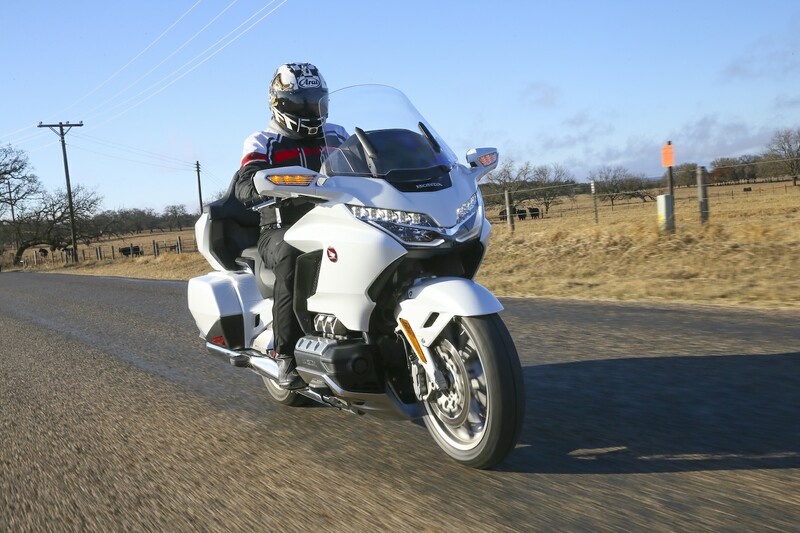 For safety reasons, however, the latter can only be activated if a headset is mounted on the helmet. Without a headset, you can connect smartphones (including Android) via Bluetooth and access playlists. Even the album cover is shown on the display, all very pretty. This way even a speakerphone can be set up. 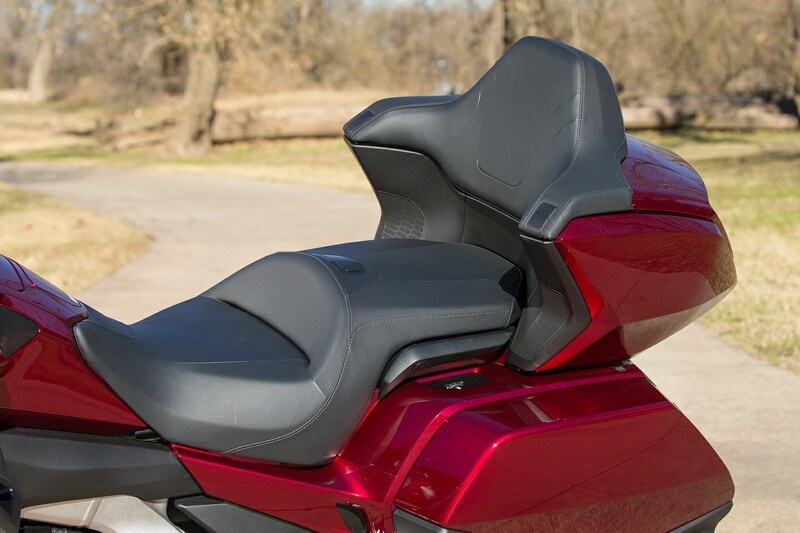 In the overview at the bottom you can see which other equipment is included in which model. 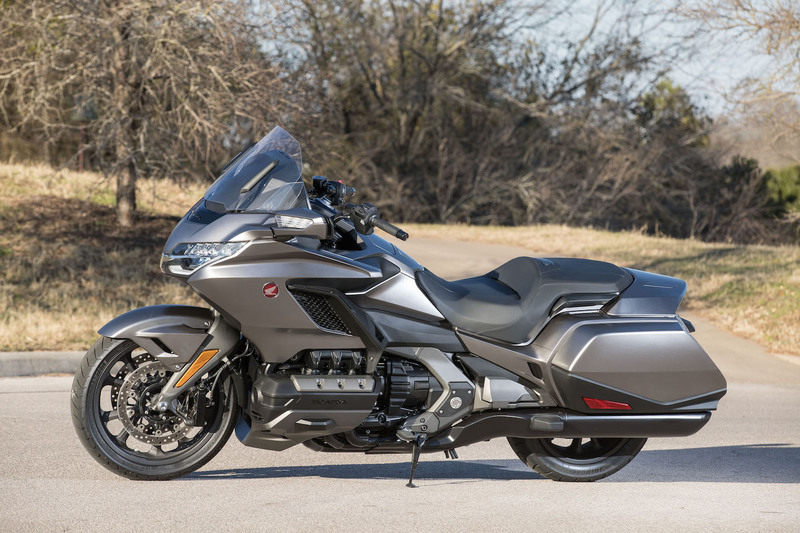 But we have have saved the best for last: the DCT, which is now available in the third generation and with seven gears for the Gold Wing. Little downer: if you want this convenience, you have to buy the top model for about 40,000 euros. It pays off though. 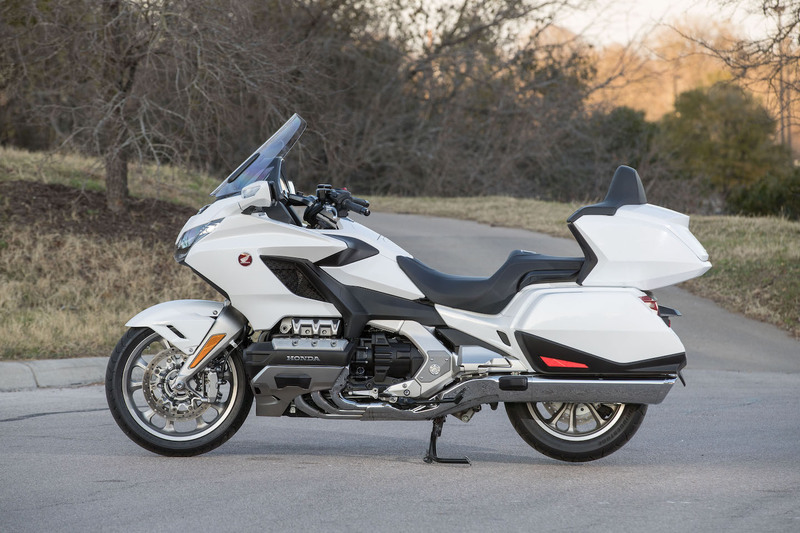 The DCT works perfectly with the six-cylinder boxer and fits the character of the Gold Wing, which – despite its dynamic talents – is built for enjoyable cruising. 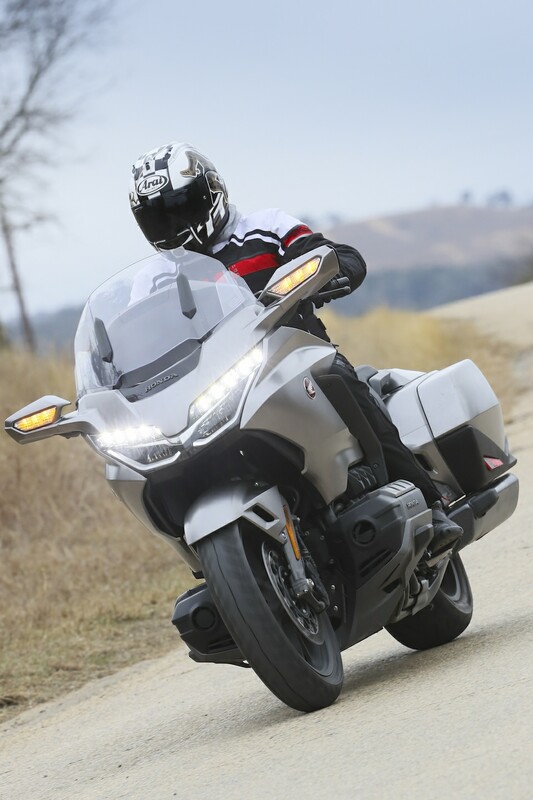 And that’s exactly what works perfectly with DCT: the start is gentle, the traction is precise, changing the gears happens almost imperceptibly, backed by a subtle clicking in the transmission. 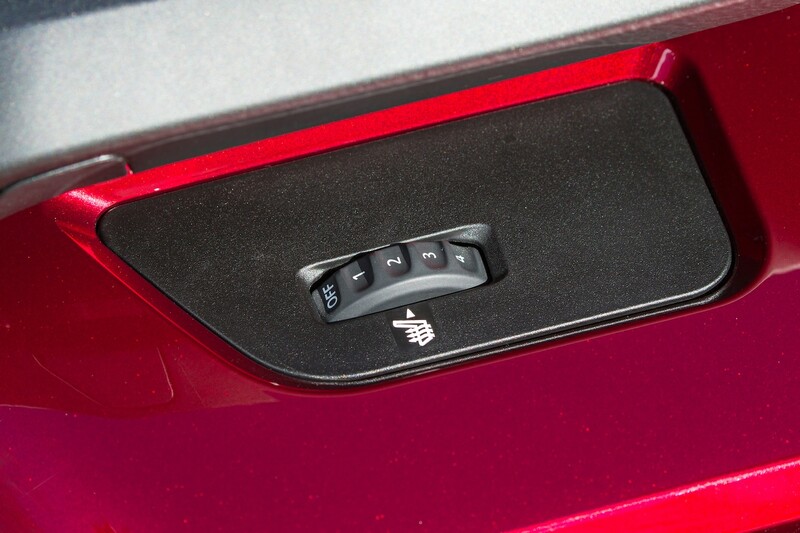 The downshift works elegantly, in addition, the clever control reliably detects which gear is suitable at the moment. Manual intervention – which of course is also possible at any time – becomes obsolete. 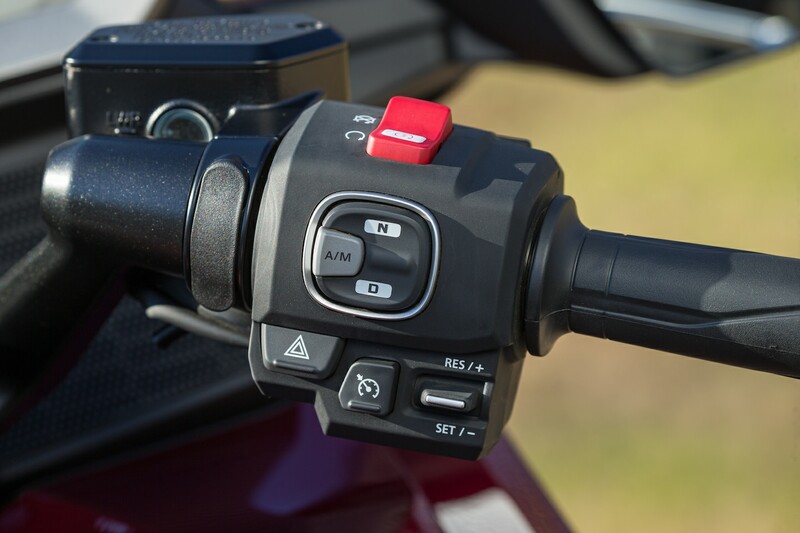 Another advantage: the DCT and its controls also work perfectly in pillion mode – and make joint tours even more pleasant thanks to the lack of a shift shock. 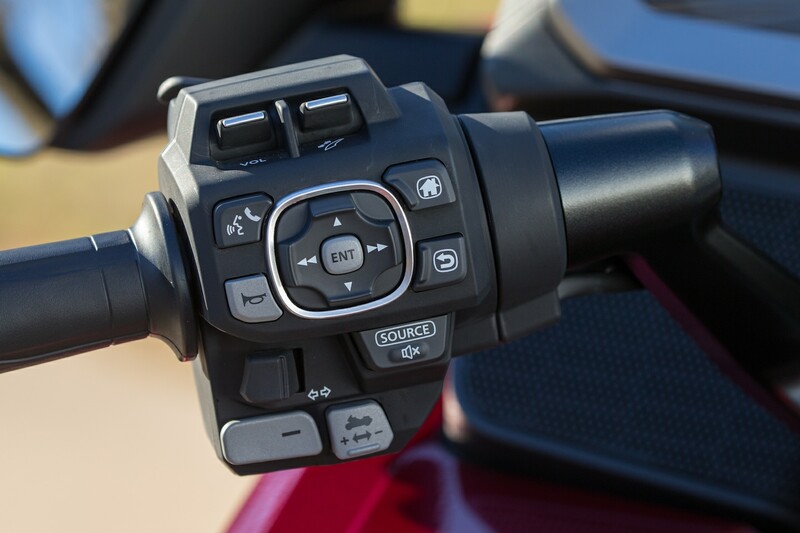 Of course, the functionality of the DCT can also be adjusted. 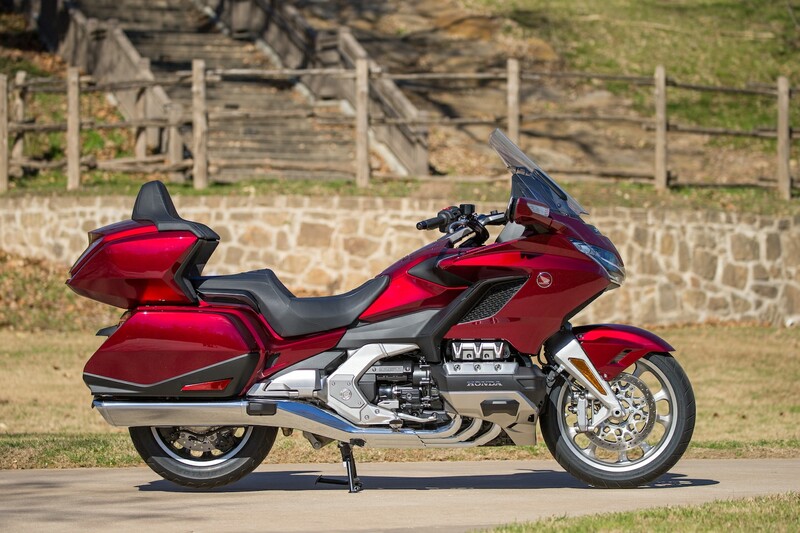 The new Gold Wing has four riding modes that are available for all models: Tour, Econ, Rain and Sport. 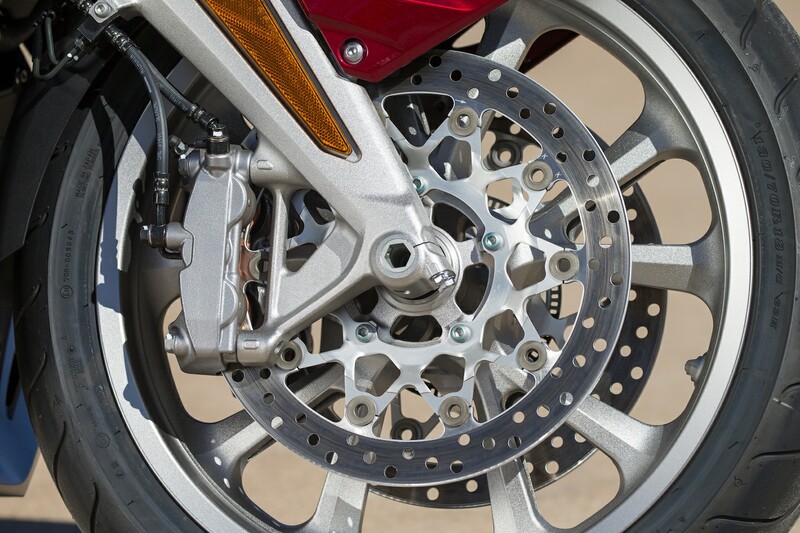 They affect the responsiveness of the engine, the ABS and – if on board – the traction control, the electronic suspension and the DCT. 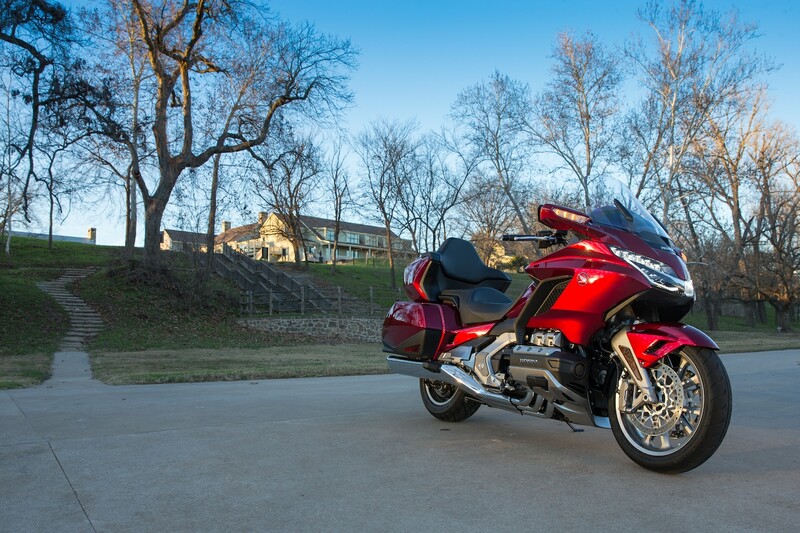 The relaxed cruiser turns into a sports tourer at the push of a button. 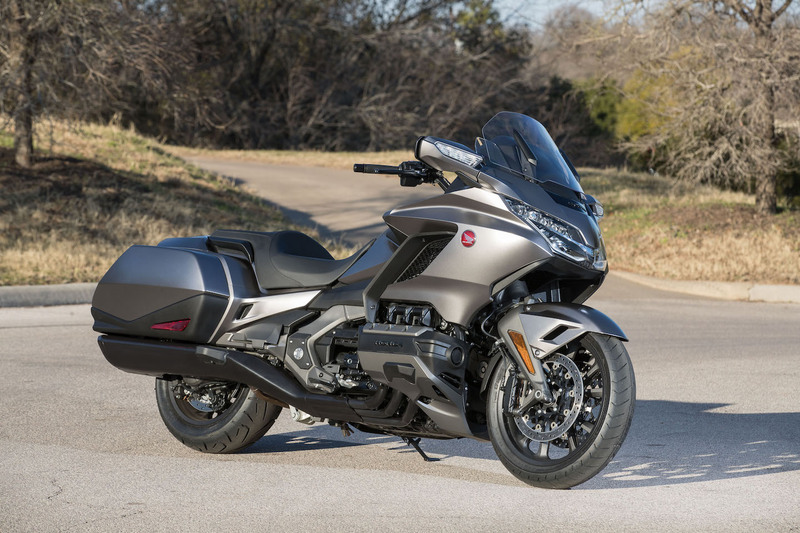 Last but not least, a small detail that proves the love of the developers and their understanding of touring riders: this generation of the Gold Wing also has two helmet locks on board. The device that’s a little out of fashion – but of course extremely useful when traveling – was newly developed, and is now super-smart and is thus representative of the overall package. 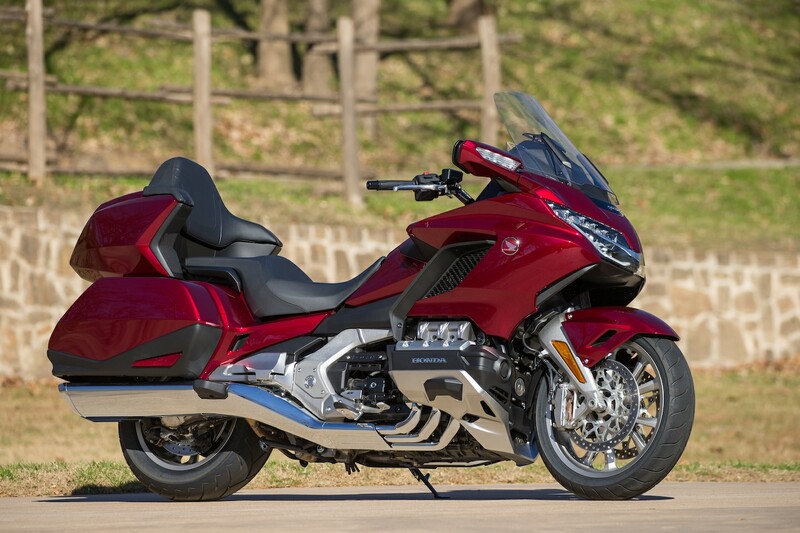 That makes the Gold Wing probably the best tour motorcycle in the world.